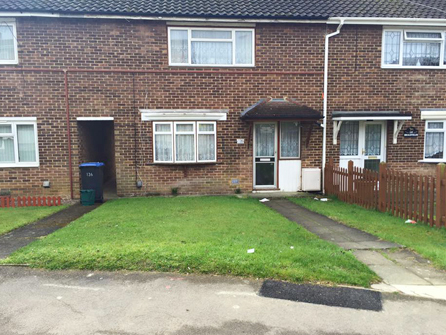 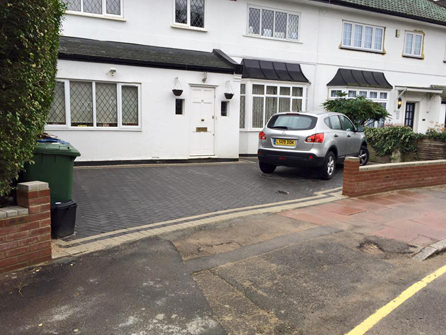 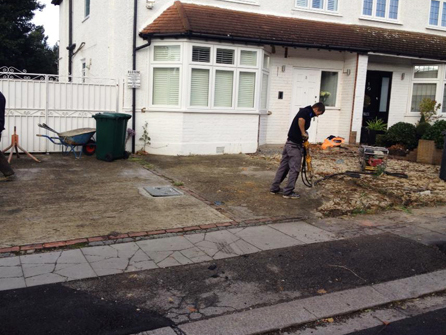 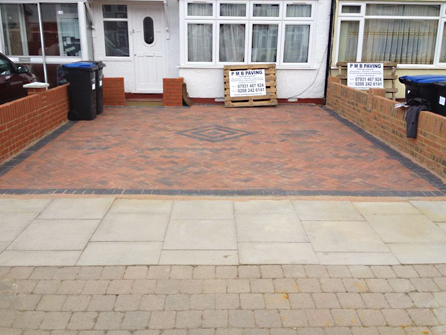 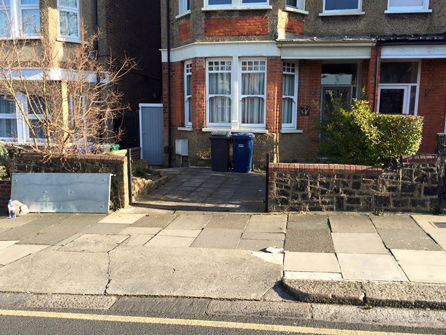 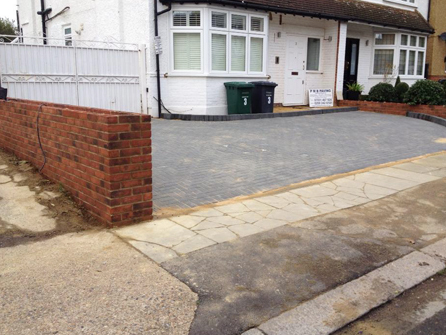 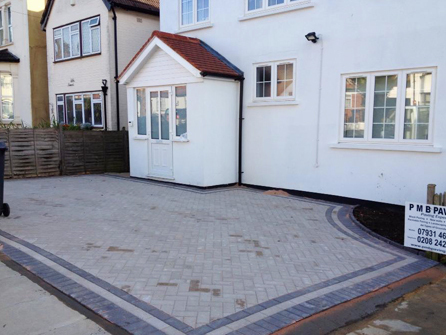 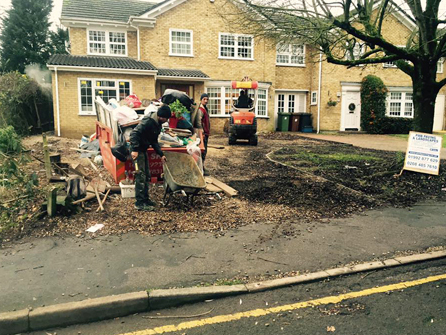 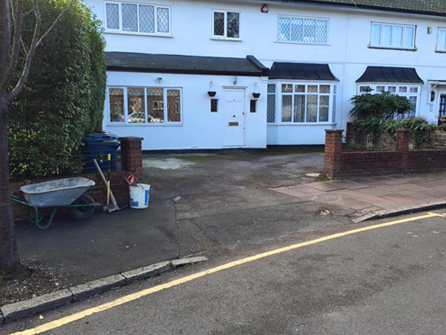 Block pavers in Mill Hill,Edgware, Harrow, Surrey. 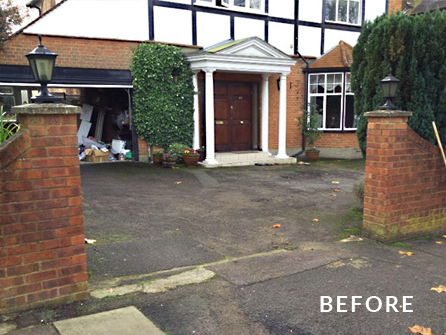 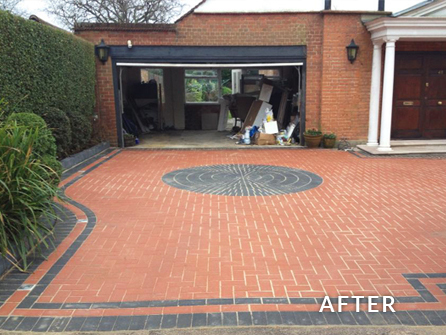 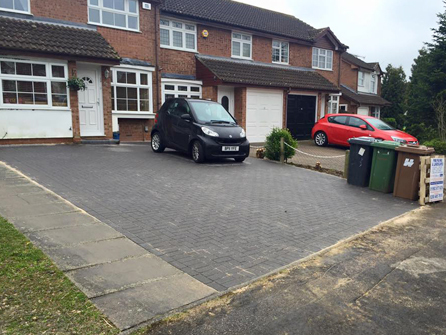 A block paved driveway can produce beautiful results and is also durable, low maintenance and will continue to look good for years to come due to the quality blocks we use from companies such as Marshalls and Natural Stone. 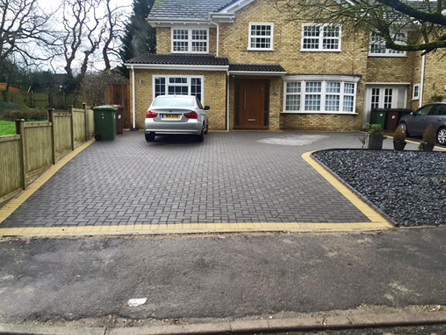 The sub base and drainage is very important when preparing for a block paved driveway to create a professional finish that not only looks good but is built to last. 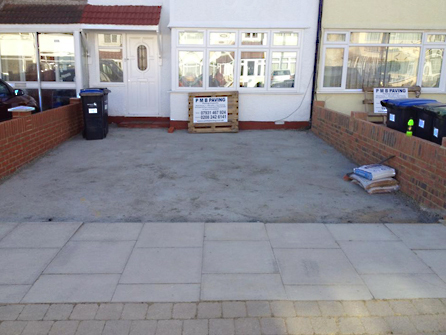 If the foundations are not sound, the blocks can sink or break so you must use a reputable, highly recommended company like ourselves to ensure you do not have any problems with your investment in the future. 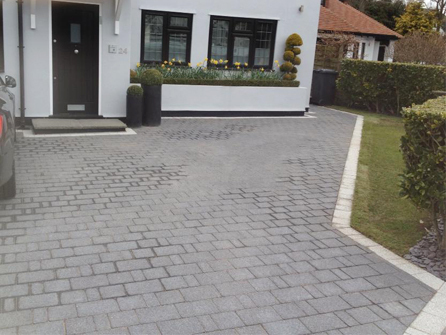 You may need some help because of the sheer endless combinations that can be achieved using blocks of different shapes, sizes, textures and colours. 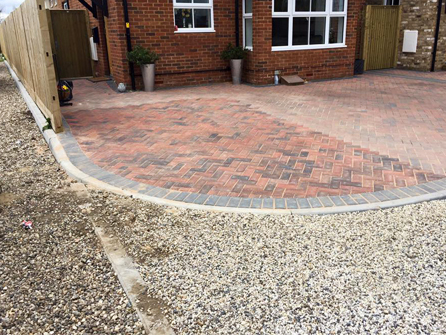 Different laying patterns to choose from as well as anything else you require such as circles, diamonds or other shapes that you want can be achieved giving your property a bespoke and designer look. 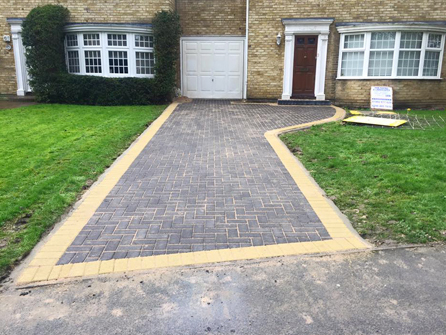 Colours alone range from black through to yellow, bright red and pale pink, you are spoilt for choice. 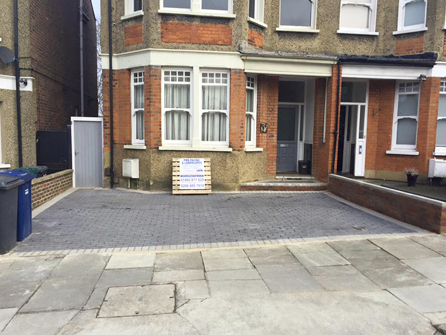 Block paving works well with other types of paving such as resinbound or gravel to create stunning and eye catching designs. 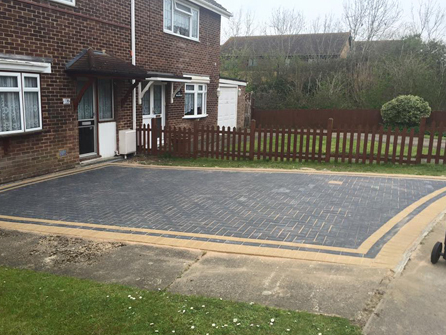 Our team has over 25 years in the paving industry and can help you come up with a decision of what blocks you should choose for your property. 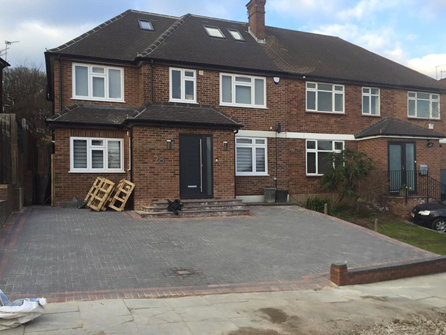 We have a full portfolio of our work available for inspection or you can check out our Trustatrade and Checkatrade pages to get some ideas. 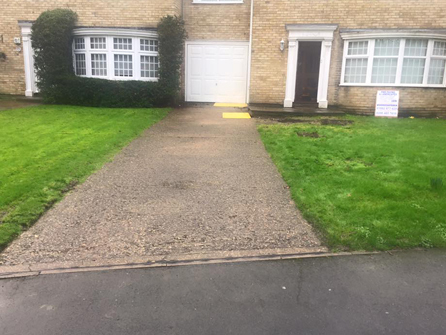 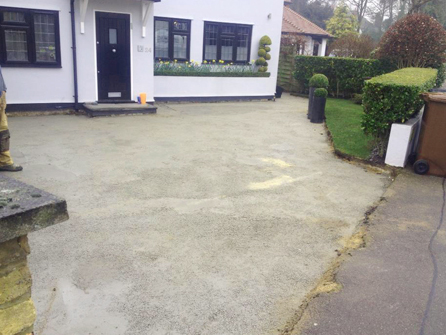 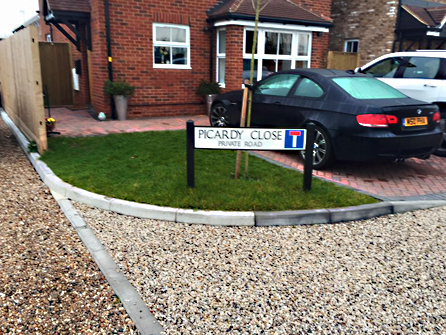 We will also help you with the finishing touches to your block paved driveway such as steps, slopes, walling and lighting which will again, make your driveway stand out from the others in your street. 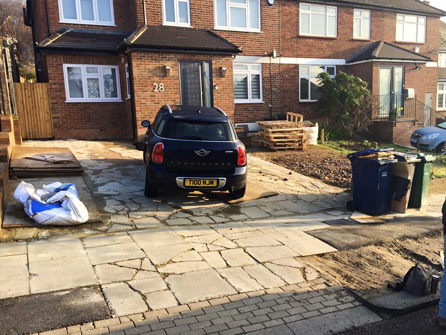 No driveway is too big or too small for our family run team to handle. 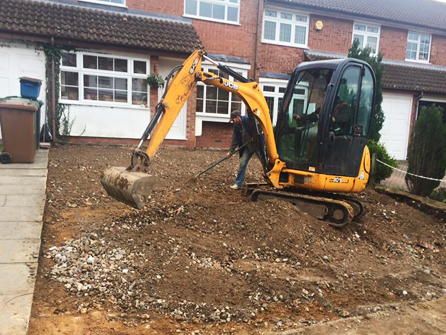 We offer free site surveys to discuss your requirements and are happy to offer free helpful advice and guidance on any specific questions you may have. 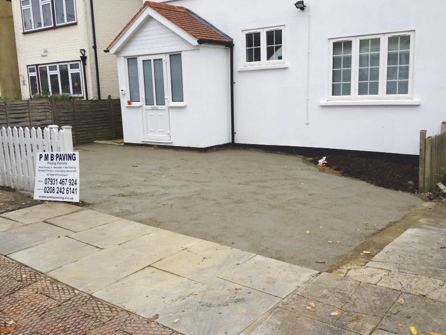 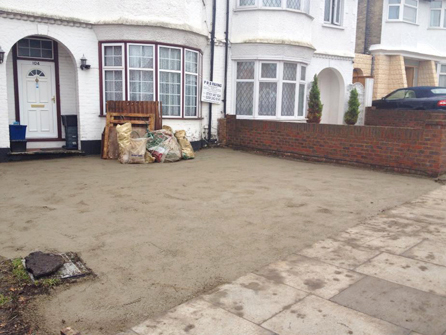 So, call our team today at PMB Paving and Landscapes Ltd on either Mill Hill 020 8485 7610 or Hoddesdon 01992 877629 and speak to a member of our friendly team about your new block paved driveway that will brighten up your home, we are waiting for your call.